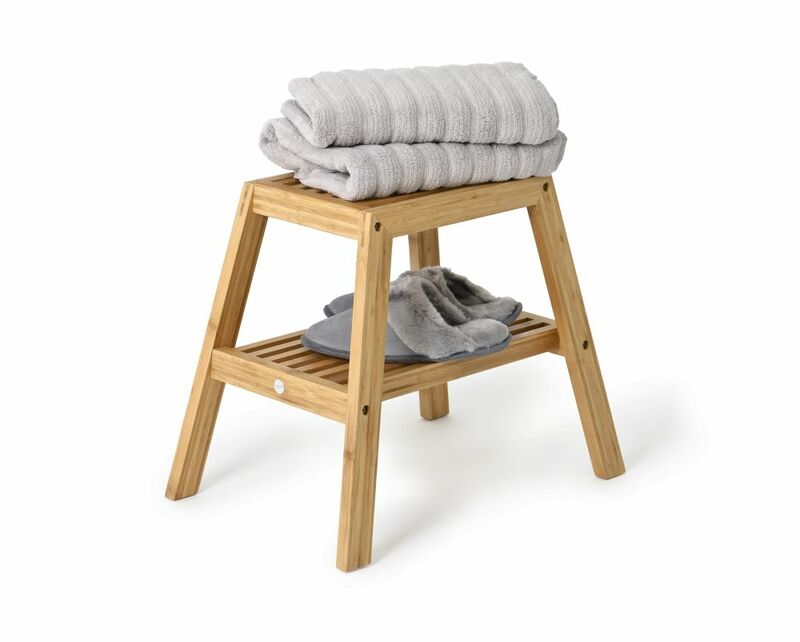 Store beneath a basin or next to a bath tub, Slatted stool is a place to sit, stack towels and keep slippers. Keep it out of the way but close at hand for those times when it’s just what you need. Available in many finishes to suit your bathroom style. Not suitable for use in a wet room, keep away from direct contact with water. Made from sustainably harvested, solid American white oak, and oak veneers, finished with a matt, water resistant lacquer. All edges look crisp but are finely hand sanded to make them soft to the touch. Silicone feet stop it slipping. Design by Lincoln Rivers. Dark oak variant: Made from sustainably harvested solid American white oak, finished in a smooth, matt, dark stain water resistant lacquer. Bamboo variant: Made from sustainably harvested, honey coloured bamboo from the Angie mountains of China, finished with a matt, water resistant lacquer.